Few works in world literature have inspired so vast an audience, in nations with radically different languages and cultures, as the Mahabharata, written some 2,000 years ago and probably the longest Indian epic ever composed. It is a story of dynastic struggle, culminating in an awesome battle between two branches of a single Indian ruling family. It is a moral and philosophical tale as well as a historical one. In his introduction Sanskritist B. 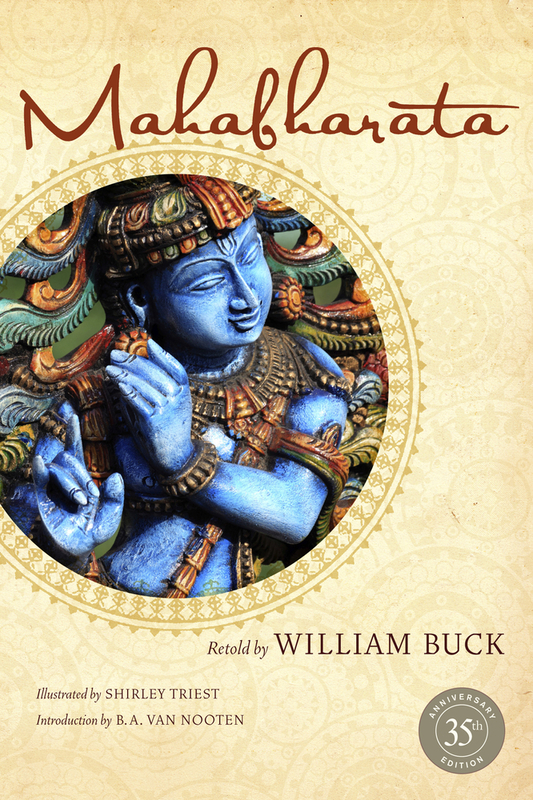 A. van Nooten notes, "Apart from William Buck’s rendition [no other English version has] been able to capture the blend of religion and martial spirit that pervades the original epic." Stunningly illustrated with majestic imagery throughout, this 35th anniversary edition is a true collector’s item.